Happy International Women’s Day! 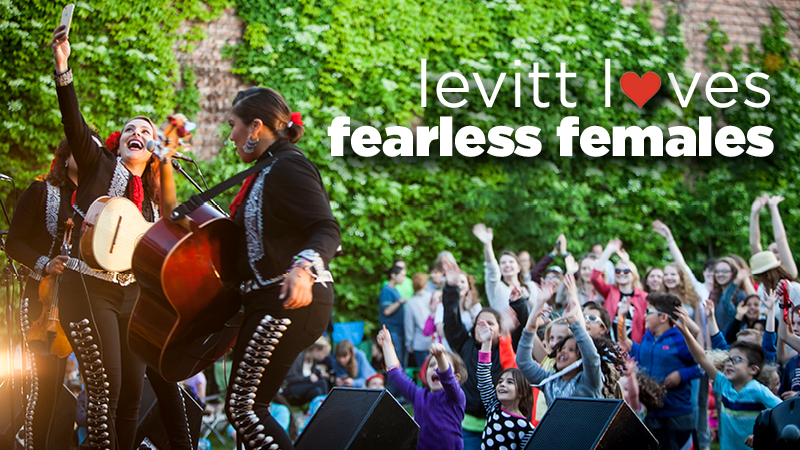 Today’s post celebrates all the fearless females out there who are courageously breaking barriers—including the ladies of Flor de Toloache, headliners of the 2019 Levitt National Tour! As New York’s first and only all-female mariachi group, GRAMMY-winning Flor de Toloache is fearlessly pushing the genre’s boundaries with their electrifying fusions of mariachi, jazz, salsa, pop and more. Their bold artistic vision and sophisticated, fresh interpretation of mariachi classics continues to win the hearts of contemporary and traditional mariachi music fans alike. Flor de Toloache made music history in 2017, when their critically-acclaimed studio album “Las Caras Lindas” was awarded the Latin GRAMMY Award for Best Ranchero/Mariachi Album—making them the first female recipients of the award. Here’s to the many generations of fearless women who’ve paved the way for the women of today and tomorrow to dream, thrive and continue breaking barriers! This entry was posted in Uncategorized on March 8, 2019 by Nicole McGaffey.